During this 1 Day Tour you will visit one of the most impressive castles in Slovakia – The Orava Castle and the UNESCO village of Vlkolinec. The price is 75 € / person for minimum 2 participants. Discount is available for 3 and more participants. Look for more information below. All about the Day Tour – Orava Castle and Vlkolinec. Today you will visit one of the best preserved castles in Slovakia – the Orava castle. It´s situated on a cliff above the river Orava in region of Orava. It´s the most attractive and impressive sight of the whole region. The castle got it´s current shape over the centuries, but the oldest parts were build in the 13th century (800 year ago!). We will take you to a beautiful place after the lunch – Čutkovska valley, where you can either enjoy lunch in a traditional Slovak restaurant or simple enjoy your packed lunch in the nature. After lunch we will be heading to the village of Vlkolinec, which is part of UNESCO World Heritage. 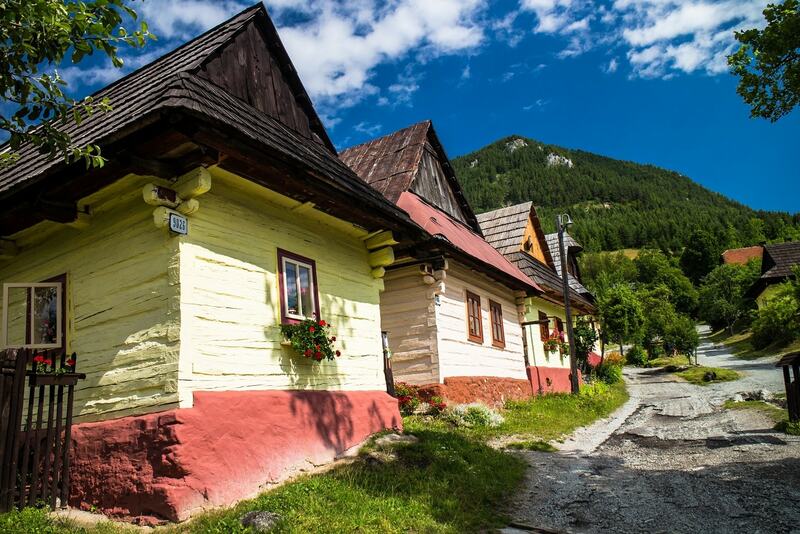 The village represents the mountainous style of living in Slovakia in 18th and 19th centuries. It´s a small settlement of about 100 houses, situated in a beautiful setting under the mountain Sidorovo. The village is situated 720m asl. Day Tours are primarily intended for visitors of the north-west Slovakia, e.g. the towns of Žilina, Trenčín and the surroundings. But nothing is impossible, so don´t hesitate to contact us, even if you are visiting the different part of Slovakia, like Bratislava or Poprad. You can easily travel by train to our meeting point. We will advice you how and which train to book. Just write us at [email protected], if you have any questions. We will meet in the morning in Žilina, Trenčin or somewhere else. In the morning you will visit the Orava castle and after lunch break we will be heading to the village of Vlkolinec. We will meet in front of the place where you stay (hotel, hostel) or on a train station in the town Žilina, Trenčin or on a different place after an agreement.